Life insurance is not only for one specified individual or group. It is a financial service that can be provided to any person willing to invest their money. Here we look at life insurance for seniors. Like with any service you need to take the terms and conditions into consideration. These can include a request for all the health records for the particular applicant. Some insurers do not ask for detailed records, but it is best to be ready to give an account of your medical history. The age of an applicant is of great importance because the different seasons in your life require various options. This is due to encountering new health associated experiences. It is necessary to distinguish the candidate’s age, to provide the best possible coverage for each by their specified needs. Maybe you have never thought of life coverage before and now find yourself in an advanced season of life. Do not let that worry you. 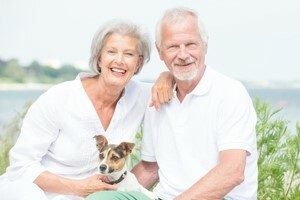 There are many prospects for life insurance for seniors to select from. Only accept the coverage deal that suits you best, do not settle for anything less. Taking all the above points into consideration, an alternative option is in going to the insurance company yourself. So meeting with the insurer in person may be a route, which can provide you with a clearer understanding of what it all entail. Some people find it preferable to speak to someone in person. This can help in getting a sense of how the company is run. Seeing that you will be investing your money, knowing how and who they are – in person – can benefit your selection positively. If you cannot visit them and do not want someone to come to your home, you also have the option in phoning them. In the case of direct conversation with the insurer, you can request prices of the senior packages they provide. After receiving their figures, you can go further and request comparison quotations online. Whatever your choice of communication is, however, you have the opportunity to get a life cover that essentially suits your lifestyle like a glove. Getting a life cover that works for you may take a bit of time but will assist in assuring that future events will be taken care of.